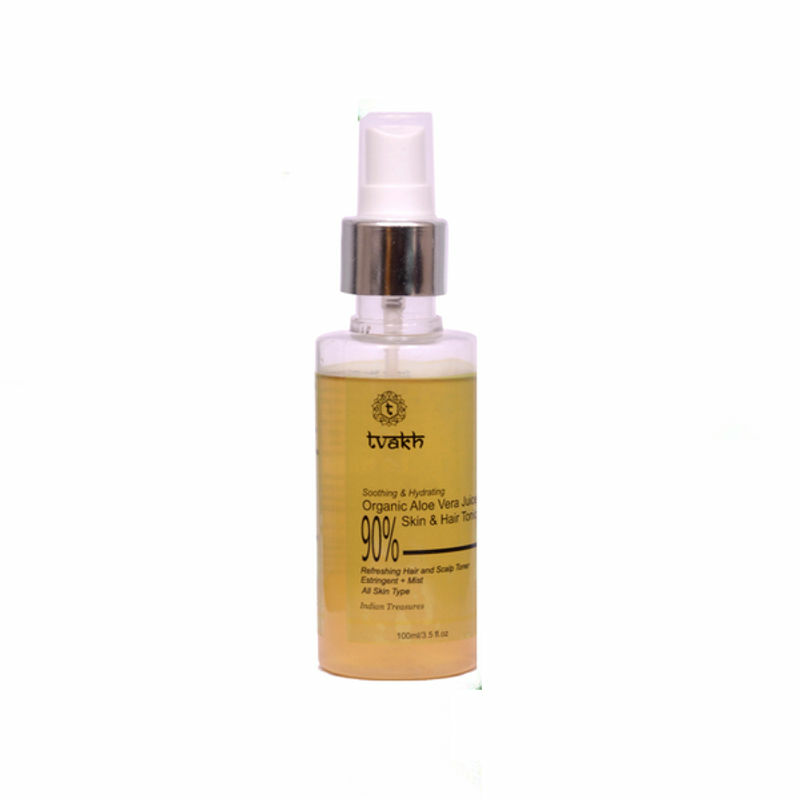 Tvakh's Organic Aloe Vera Hair and Skin tonic is made of 100 % natural Ingredient. Regarded as a universal panacea by scientists that can treat, exfoliate, restore, reveal and provide constant, impressive nutrition to the human skin. Aloe Vera is rich in Vitamin C, E and beta carotene which gives it its nourishing and anti-ageing qualities. It can moisturize the skin without making it greasy and contains powerful antioxidants, polyphenols that can inhibit the growth of bacteria reducing inflammation, scalp and skin infections. It helps in Keratin strengthening as the chemical makeup of Aloe vera is similar to that of keratin and it rejuvenates the hair with its own nutrients, giving it more elasticity and preventing breakage. Can soothe inflamed skin and works as Astringent.